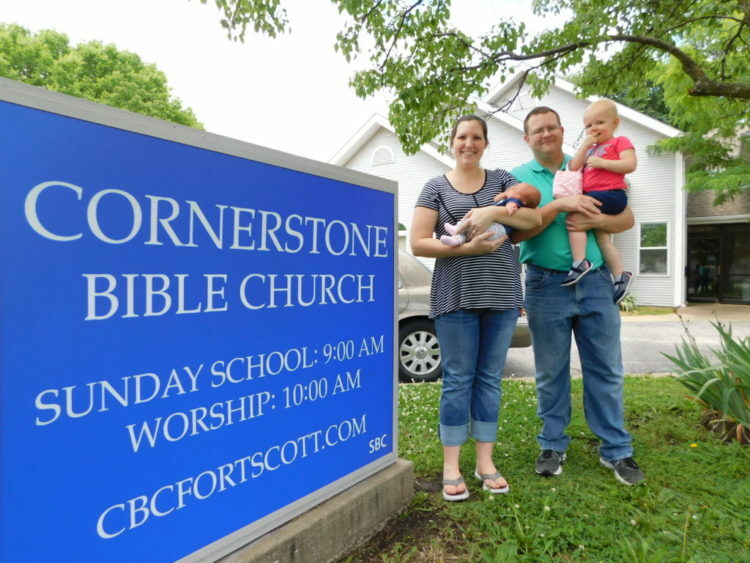 Pastor Ben Workman and family stand in front of the newly purchased property of Cornerstone Bible Church, at Lowman and 6th streets in Fort Scott. Since March 2018 there has been new activity at the long-vacant building at 6th and Lowman streets. 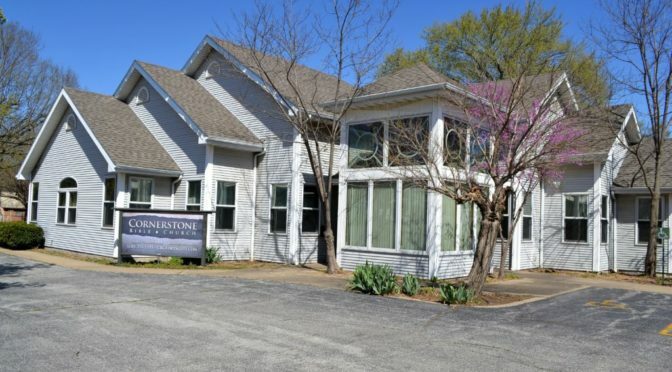 The old medical office building is being transformed into a house of worship by a Southern Baptist Church Plant, Cornerstone Bible Church. The church is a Southern Baptist Cooperating Church, a part of the Southern Baptist Convention. “From what I gather, it was a church plant to reach those without a church,” Pastor Ben Workman said. The church plant was started about eight years ago. Workman has been the pastor for five years. “I came here as a single man, got married and have two kids now,” Workman said. The people met in a home for a period, then rented the Old Congregational Church at 502 National Avenue for a few years, he said. “We loved working with the HPA (Historial Preservation Association) but couldn’t do anything in the building (to modify it) and we had to work around the events they have,” Pastor Workman said. Presently the church has 16 adult members, average attendance is 25, Workman said. The church body is in the process of renovating the former office building at 524 S. Lowman into a worship center with the help of the Oklahoma Baptist Association. “They are doing a mission trip to come here providing labor and some materials for the renovation,” Workman said. Members of the church will provide meals, hospitality and provide some labor for the reno project, he said. The project will be June 18-22 at the church site. The church is having a garage sale Friday, June 8 and Saturday, June 9 to help raise funds for materials for the renovation. On Saturday, the church will be selling biscuits and gravy for breakfast and a hot dog and chili lunch to help raise funds as well. 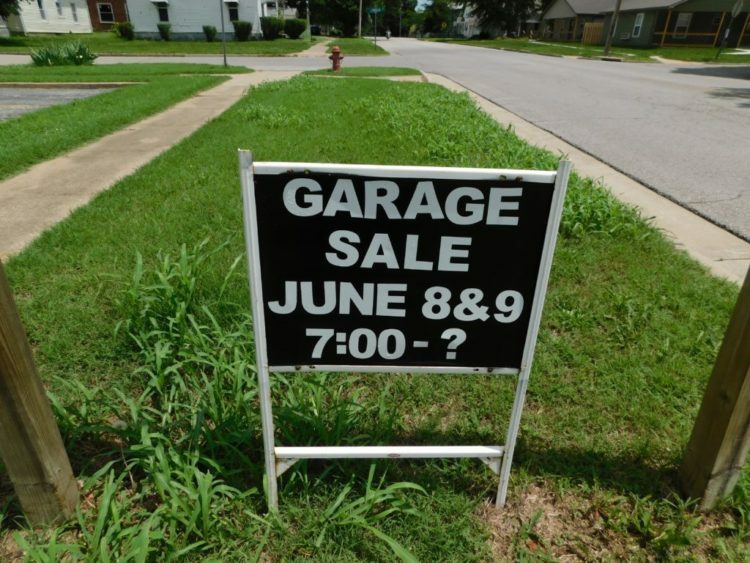 The church is having a garage sale to help with renovations to the property on June 8 and 9. They will also be providing a breakfast and lunch on June 9 as a fundraiser. Previous PostThe Bourbon County Sheriff’s Office Daily Reports June 6Next PostChamber Coffee at The Keyhold Thursday at 8 a.m.